Police charged 80 people, seized close to 250 kilograms of marijuana and more than $350,000 in cash after raids on dispensaries and homes in Toronto and Vancouver last week. 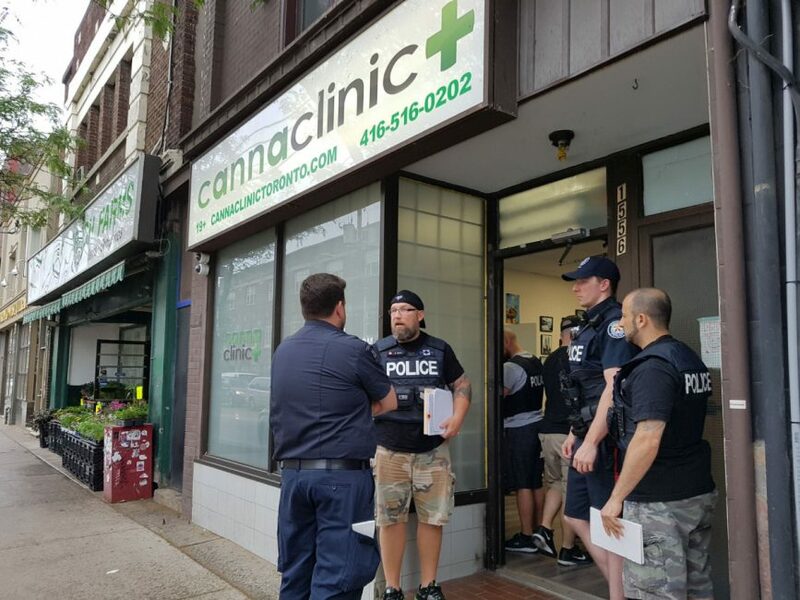 Seven Canna Clinic marijuana dispensaries and six residences were targeted in coordinated raids across Toronto Thursday, in an investigation dubbed Project Lincoln in partnership with the RCMP and the city’s Municipal Licensing & Standards division. “There have been I believe two projects aimed at [Canna Clinics]. We’ve executed many, many, many other warrants and so what we do is we respond to complaints, we also respond to public safety issues and if we feel additional enforcement action is necessary than we’ll take that,” Toronto police spokesman Mark Pugash said. 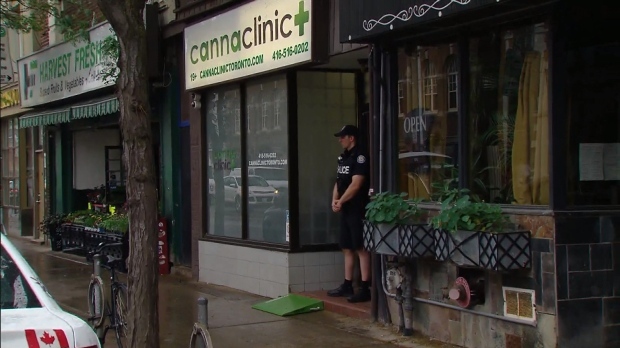 Earlier this month Toronto Mayor John Tory expressed his concern over the number of dispensaries in the city that are still in business, and went on to say he will continue to support additional police and municipal bylaw enforcement. All of the six suspects were scheduled to appear in a Toronto court on June 23. 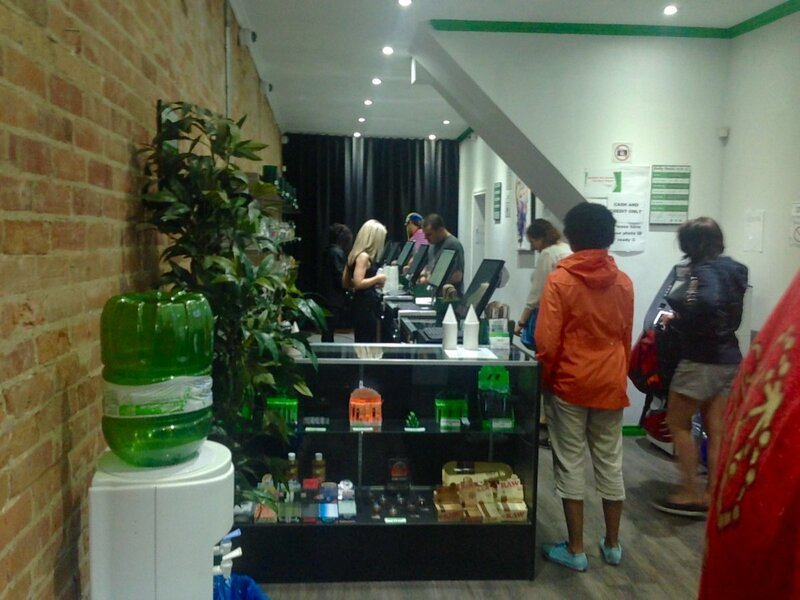 Canna Clinic at 1556 Queen St. W. at 10:30 a.m.
Residence in the Cowan Avenue and King Street West area at 10:30 a.m.
Canna Clinic at 2887 Dundas St. W. at 10:30 a.m.
Residence in the Fort York Boulevard and Spadina Avenue area at 10:30 a.m.
Residence in the Cherry Street and Mill Street area at 10:31 a.m.
Residence in the Queen Street West and Dowling Avenue area at 10:30 a.m.
Residence in the Harbour Square and Queen’s Quay West area at 10:30 a.m.
Canna Clinic at 44 Kensington Ave. at 10:30 a.m.
Canna Clinic at 213 Ossington Ave. at 10:30 a.m.
Canna Clinic at 2352 Yonge St. at 10:45 a.m.
Canna Clinic at 350 Broadview Ave. at 12:45 p.m.
Residence in the Harbour Square and Queens Quay area at 1:55 p.m.
Canna Clinic at 527 Eglinton Avenue West at 3:05 p.m.